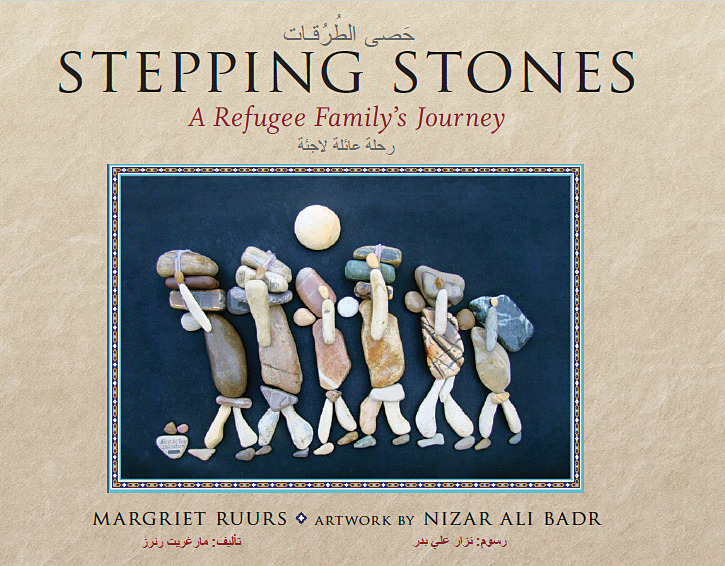 Canadian author Margriet Ruurs has written a remarkable new book, Stepping Stones: A Refugee Family’s Journey. It tells the story, through stunning art and lyrical text, of a young girl, Rama, and her family who are forced to flee their village to escape the encroaching civil war in Syria. Margriet’s words are paired with the unique and compelling stone artwork of Syrian artist Nizar Ali Badr. She sent messages through Facebook but soon realized that the artist lived in Syria and didn’t speak English. Finally, with the help of another teacher friend in Pakistan, Margriet was able to find an English-speaking friend of the artist who lived in the same city. The connection was made and Nizar Ali Badr, the artist, was excited about the idea that his art would be used to illustrate a children’s book. And so, between the two of them, the book began to take shape. The story is a poignant tale of how Rama and her mother, father, grandfather and brother, Sami, set out from Syria to walk to freedom in Europe. 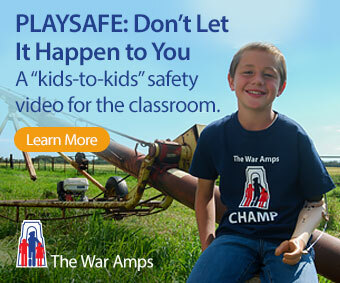 They can only take what they can carry on their backs. It is a deeply moving and poetically written story that reflects the reality we are seeing in our news about the Syrian refugee crisis every day. Once the artist expressed his interest, Margriet approached Orca Book Publishers in Victoria, BC. The owner and publisher, Bob Tyrell, is involved in global and humanitarian projects, and Margriet thought he might be interested in publishing a book that would benefit refugees. And he was. He not only agreed to publish the book but also to donate a portion of the revenue to a refugee cause. Margriet is also donating most of her royalties and Nizar Ali Badr is now receiving regular royalties, which has increased his income substantially. With this touching story, Margriet hopes to help bring awareness and understanding of the refugee crisis and its personal toll on those most closely affected. She also hopes that the wonderful stone art will inspire children to be creative and to look at unusual resources to become artists in their own right. Orca Book Publishers will offer a substantial discount to any school wanting to sell this book as a fundraiser to help support refugees. For every hundred books sold, more than $800 will be raised for a resettlement agency in your area. If your school would like to participate, please contact Ruth Linka at Orca Book Publishers for more details: ruth@orcabook.com. Stepping Stones: A Refugee Family’s Journey, will be published by Orca Book Publishers in October 2016. ISBN: 9781459814905. The book is a Junior Library Guild selection. To learn more about the book, please see: steppingstonesthebook.com. And to read more about Margriet, please see her website at: margrietruurs.com. 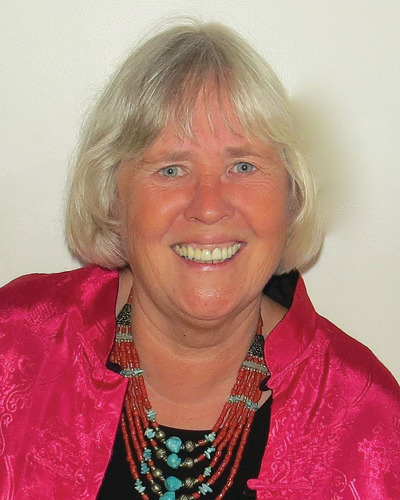 Deborah Hodge is the author of more than twenty-five books for children, and a former teacher and curriculum writer for the BC Ministry of Education. Her picture book, Bear’s Winter Party, will be published by Groundwood Books, September 2016. See her website at: deborahhodge.com.